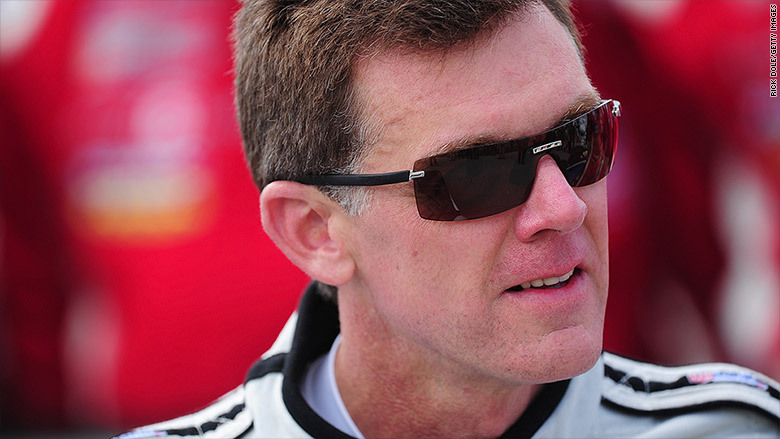 Scott Tucker has been charged in an alleged payday loan scam. The Justice Department cracked down on two major payday lending empires Wednesday, including one that belonged to race car driver Scott Tucker. 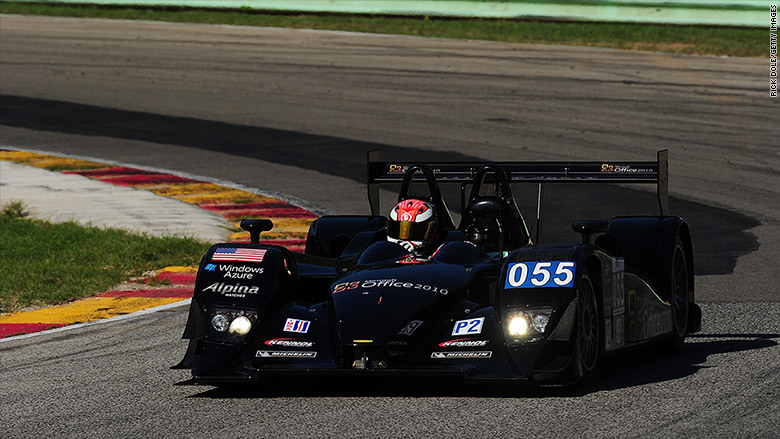 Tucker is a 53-year-old financier who races Ferraris in professional competitions. He was arrested on Wednesday, accused of running an illegal $2 billion payday lending enterprise and hit with federal RICO charges. From 1997 until 2013, Tucker operated payday lending companies that gave 4.5 million Americans short-term, high-interest loans under "deceitful" circumstances, according to a federal indictment filed in New York City and unsealed Wednesday. Prosecutors say Tucker cut secret deals with a Native American tribe to make it seem like the tribe owned his companies, shielding him from state lawsuits and regulators. Tucker and his corporate lawyer, Timothy Muir, were both arrested in Kansas City, Kansas, on Wednesday, according to the FBI. Neither of their attorneys immediately responded to CNNMoney's requests for comment. Their enterprise, which included 600 employees, ran under names like Ameriloan, Cash Advance, One Click Cash, Preferred Cash Loans, United Cash Loans, U.S. FastCash, 500 FastCash, Advantage Cash Services and Star Cash Processing. Manhattan U.S. Attorney Preet Bharara said Tucker's "deceptive and predatory [enterprise]... has been exposed for what it is -- a criminal scheme." Here's how prosecutors claim it worked: Someone would borrow $500. Tucker's company would slap on a $150 "finance charge." In reality, borrowers ended up paying closer to $1,425 in fees and interest because Tucker's company structured the loan to prolong the payback. It automatically tapped into borrowers' bank accounts with every new paycheck -- but usually counted payments as entirely or mostly "interest." This payday lending operation caught the attention of state prosecutors across the country, according to federal officials. But state prosecutors had their hands tied. Company documents claimed the businesses were owned by the Miami Native American tribe of Oklahoma and protected by "sovereign immunity," which prevents states from suing tribes. Federal investigators say they were able to pressure the Miamis into making a deal. In legal papers, the tribe admitted that Tucker approached them to become business partners for a payday loan enterprise, shielding it from state investigations. The tribe agreed to give up $48 million in payday revenue, and in return, federal officials agreed not to prosecute tribe members. Tucker and his lawyer have been charged with unlawful debts, and violating the Truth in Lending Act and the Racketeer Influenced and Corrupt Organizations Act. Federal agents are confiscating Tucker's six Ferraris, four Porsches, a Learjet, his mansion property in Aspen, Colorado, and 27 bank accounts connected to Tucker's family and his attorney. In a separate case in nearby Kansas City, Missouri, the FBI on Wednesday arrested Richard Moseley Sr., accusing him of sitting atop a $161 million payday lending empire. Prosecutors describe Moseley's enterprise as an online scam that tricked people who didn't even ask for a loan. Since 2004, Moseley built a network of shell companies that "systematically exploited more than 620,000 financially disadvantaged, working people throughout the United States," according to a federal indictment filed in New York City. As described in the indictment: If a potential borrower merely wanted to check if she qualified for a $300 payday loan, Moseley's company would have her fill out a questionnaire and include her bank account information. But without warning, she would receive the money -- plus a $90 "finance charge." Every two weeks, the payday company would automatically tap into a borrower's bank account and pull out $90 without explanation. It was only the loan's interest, not capital. But consumers weren't told that, prosecutors allege. Here's where it got ugly. Each time, there was an "automatic renewal" of the original, still-unpaid $300 loan, according to the indictment. And Moseley's company would collect another $90 two weeks later. To give an idea of the operation's scale: During a 15-month period, Moseley's empire issued $97 million in payday loans and collected $115 million in fees, according to federal financial regulators. Moseley appeared at a federal courtroom in Kansas City and has been released on bond, according to the Kansas City Star. His attorney said Moseley will plead not guilty. Moseley ran this enterprise under 20 companies with names like PiggyCash Online Holdings, DJR Group, SJ Partners and Rocky Oak Services. Many of them operated under the name Hydra, a reference to the multi-headed beast of Greek mythology. In the past, Moseley and his business partners had been sued by the Consumer Financial Protection Bureau for "running an illegal cash-grab scam." In 2014, a federal judge froze the companies' assets and ordered their websites shut down. According to the Justice Department, Moseley and his son pocketed at least $27 million over the years and bought "multiple luxury vehicles," country club memberships, and vacation homes in Colorado and the Mexican coastal resort town Playa Del Carmen.